Welcome to Bryson Lew's racing page and thank you for taking the time to visit! 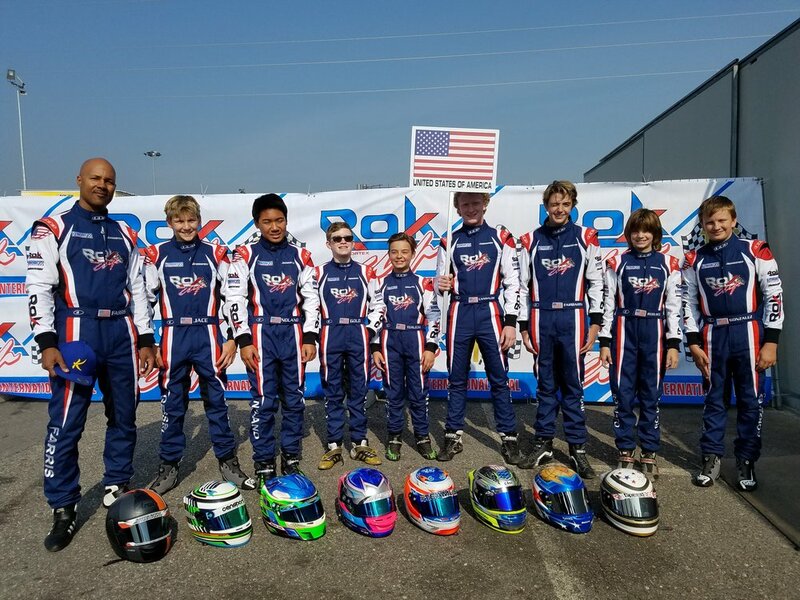 Beginning at 8 years old, Bryson has been kart racing for 8 years. His home track is Simraceway at Sonoma Raceway in Sonoma, California. EXCITING NEWS FOR 2019: Bryson will race in the French F4 Championship! He will be the first American in 20 years to race in this series. French Formula 4, FFSA Academy, at Le Mans Bugatti Circuit, France! An amazing opportunity and very successful test days! Simraceway Winter Formula 4 Series at Sonoma Raceway. Radical SR1 testing at Buttonwillow Raceway, thanks to winning the Sanzaru Games Kart Championship & Cameron Racing. 2018 Race Season: Bryson’s focus was to transition to racing a formula car in the Formula Car Challenge series, 14 races on the West Coast: Sonoma Raceway, Laguna Seca Raceway, Portland International, Willow Springs Raceway, Thunderhill Raceway, and Buttonwillow Raceway. Testing and trained for his first race in March 2018, as Bryson joined the World Speed Motorsports team to race the FormulaSpeed 2.0. 1st place in his class for the first race, placing 2nd overall. Bryson’s largest race included a 52-car field at Laguna Seca. Last race was alongside IndyCar at Sonoma Raceway, as a support race. 3rd place in the Championship, just 7 points out of 2nd place. 2017 Race Season: Bryson's opportunity to move to race cars was driven by 6 years of kart racing. April: Champion, Challenge of the Americas, Round 5, Sonoma Raceway, Sonoma, California. September: Champion, West Coast ROK Shootout, qualified for ROK Cup International Finals, Lonato, Italy. October: Raced in the ROK Cup International Finals, amazing opportunity to compete with drivers from over 48 countries. Bryson was 1 of 7 Juniors from the United States, selected to represent Team USA. 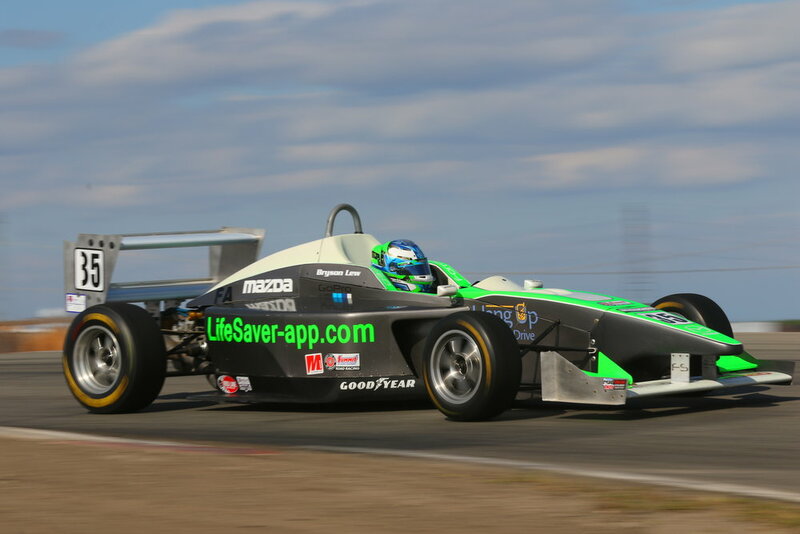 Upon returning from Italy, he tested the FormulaSPEED 2.0 at Thunderhill Raceway, Willows, California. November: "2017 Rising Star Award" by World Speed Motorsports & finalist for the VMB Driver Development Scholarship. Alumni of the Rising Star Award have progressed to race in Formula 1, IndyCar, and NASCAR. 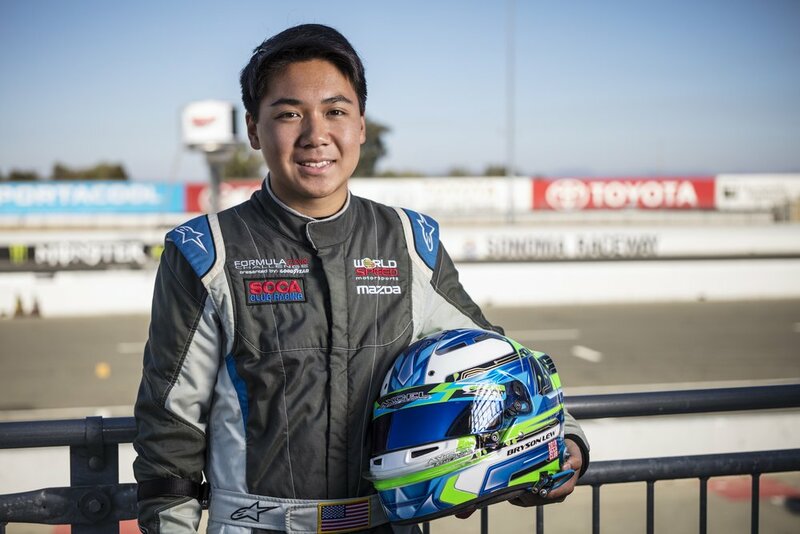 December: Bryson was 1 of 4 drivers invited to the VMB Driver Development Scholarship/World Speed Motorsports Shootout at Thunderhill Raceway. Champion, Junior ROK and "2017 Rising Star Award”, Sanzaru Games Karting Championship, Sonoma Raceway.